Traditionally, ragtime music is played by a single piano. Although many ragtime players do use other instruments, most notably the banjo or the guitar, the music is generally thought of as being played by the piano. Jazz, on the other hand, is almost always played by a group of musicians on instruments like the piano, trumpet and trombone. It's possible to find pieces that stray from this instrumentation, but they generally hold true as a difference between the two genres. Jazz depends heavily on improvisation. 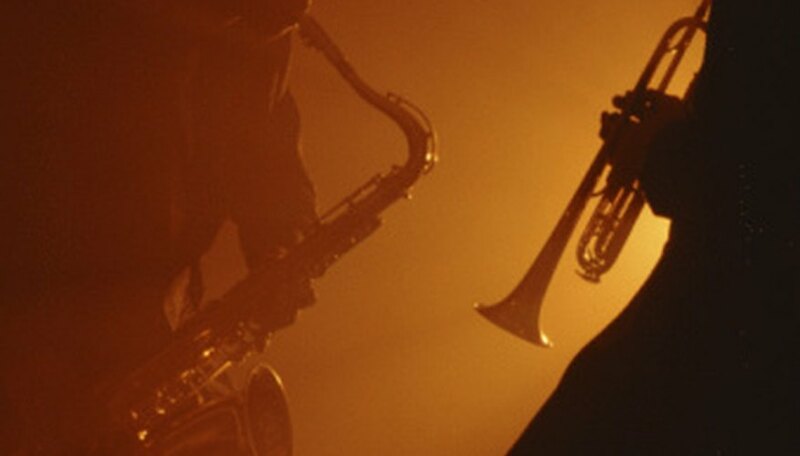 The only fixed version of many jazz songs is the particular version that has been recorded. Finding transcriptions of jazz records can be difficult, and many musicians have to learn new songs by listening to other musicians perform them. With the improvisational spirit prevalent in jazz, learning each individual note played by the original performer isn’t that important. Ragtime music, on the other hand, is often written down, and the songs are more musically structured than jazz. Jazz music is heavily textured musically. The multiple instruments often play their own section and this provides an overall richness and depth to the sound. This is one way in which jazz can be similar to ragtime, because both use syncopation, but ragtime music is strictly homophonic. This means there is one musical voice, while polyphonic means there are multiple. Syncopation, a common factor in ragtime and jazz, means that the music changes so that the previously weaker beat is accentuated. The setting in which ragtime and jazz are played is the final key difference between the two genres. Ragtime music is more dance-oriented and was generally used as background music in locations such as saloons or homes. Jazz music wasn’t limited to such informal scenarios, and was often played at functions such as weddings, balls, funerals and parades.